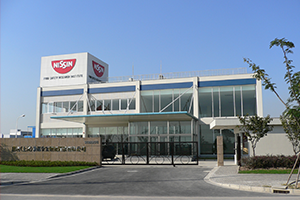 Nissin Shanghai Food Safety Institute is a company established under the laws of the PRC on 24 March 2005 with limited liability and is currently owned as to 5.0% by our Company and 95.0% by Nissin Japan. We believe that stringent food quality and safety standards are our core values and it is our mission to contribute to safety and security of the food industry as a market leader. As such, we have been continuously focusing our efforts to monitor and ensure the quality and safety of our food products throughout our procurement and production process. In terms of food safety and quality management, we have been accredited with ISO 9001 or ISO 22000 for all of our existing operational production plants in Hong Kong and the PRC except for our Pinghu Production Plant and our Dongguan Production Plant for packaging materials. We have also been accredited with Organic Processing and Handling Certificate in February 2016. 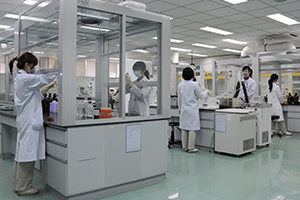 In environmental management, we have been granted the certifications of ISO 14001 for all of our existing operational production plants in Hong Kong and the PRC except for our Pinghu Production Plant and our Dongguan Production Plant for packaging materials.